REGISTRATIONS for this summer's junior cricket programs are now open. 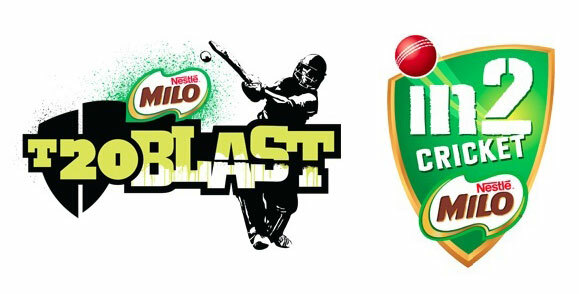 The Milo-sponsored in2Cricket and T20 Blast programs give children a fun and fast-paced introduction to cricket, with more than 40,000 boys and girls around Australia taking part in the programs last year alone. The in2Cricket program is designed for boys and girls aged from five to eight years old, emphasising participation, basic motor skills and teaching the basics of cricket in one-hour sessions. T20 Blast gives kids aged seven to 12 with basic cricket skills their first experience of playing games of cricket in a fun, safe and social setting. The program has a maximum playing time of 90 minutes, an exciting atmosphere complete with music and dancing, and everyone gets a chance to bat, bowl and field. The Glenora in2Cricket program and New Norfolk T20 Blast Program hit off in early Term 4. To find out more and register, simply visit playcricket.com.au and type in your postcode.